Business environments of varying industries demand quality, tough, and dependable garage doors that can withstand the daily wear and tear of industrial and commercial use. At Overhead Garage Door LLC, we offer a wide array of commercial garage doors, including rolling steel doors and high-speed garage doors, suited for various uses. 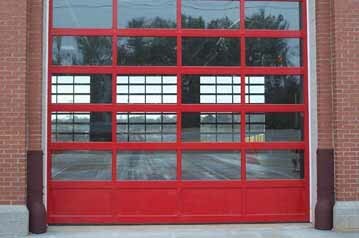 Whether if it’s the stylishness of an aluminum full view door or the high-performance of a high-speed door, our garage doors are suitable for any and all of your commercial needs. With a variety of gauge and insulation options, you can easily identify a garage door with the exact performance and reliability necessary for any commercial, warehouse, and/or industrial applications. Aluminum full view doors, with more light exposure and visibility than other commercial garage doors, are ideal for businesses and commercial establishments of all sorts of industries – especially those who prefer a modern, industrial look. 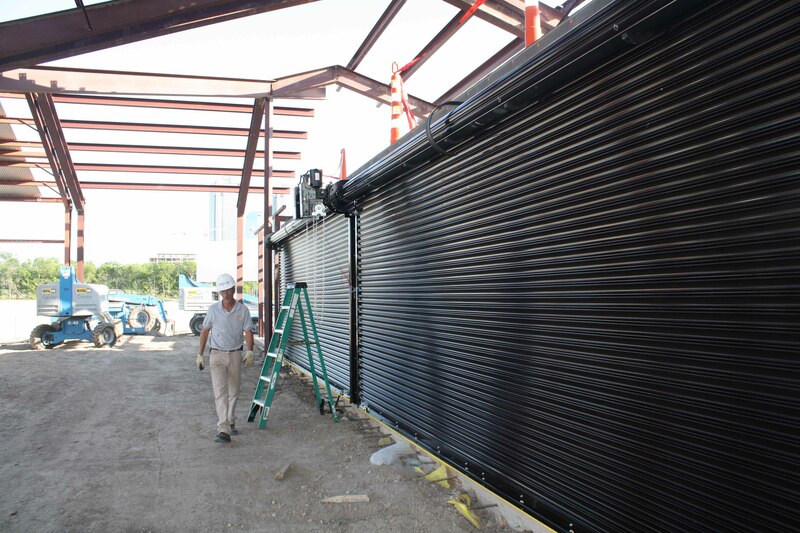 For escalated security and better-controlled access of commercial establishments, our rolling steel doors are low-maintenance, durable, and will last for years. 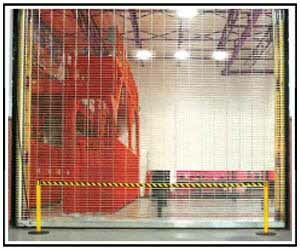 High-speed commercial garage doors are constructed specifically for commercial and industrial applications involving high traffic and/or unfavorable environmental factors, such as wind, rain, and other contaminants. Does your business handle large incoming and outgoing shipments? 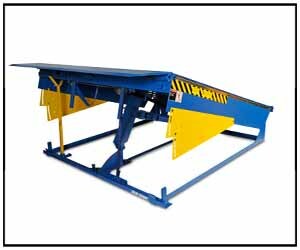 If so, Overhead Garage Door LLC is your one-stop shop for dock levelers, dock seals, dock shelters, and commercial fans. Available in a variety of types and materials, our selection of roll up garage doors perform exceptionally well in even the most demanding industrial environments. While running a business or commercial property, the last thing you want to worry about is your garage door. 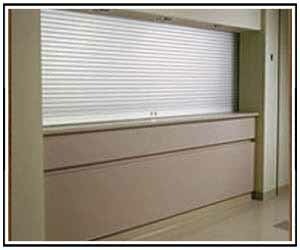 Hence, you understand that commercial overhead doors must be tough and reliable. Our entire selection of overhead doors – whether insulated or non-insulated, aluminum or steel – are designed to endure the demands of daily commercial use. 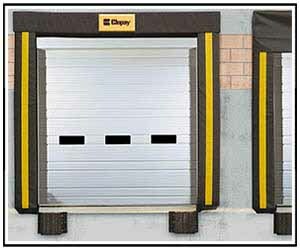 Even the most heavy-duty commercial garage doors require maintenance and repair at some point. If not addressed properly and in a timely manner, a broken garage door not only causes inconvenience, but could also result in a major loss of business. Our repair technicians are there for you around the clock – 24 hours a day, 7 days a week. 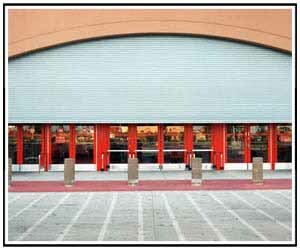 Replacing large commercial garage doors may seem like a daunting, lengthy task. 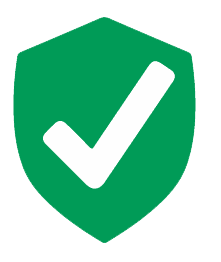 However, our expert garage door technicians complete all overhead door installations quickly and professionally to avoid any interruptions in the operation of your business or commercial institution.